Description A heavily pregnant woman cradles her unborn child. 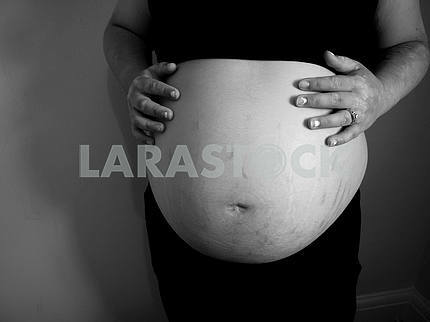 Description: A heavily pregnant woman cradles her unborn child. 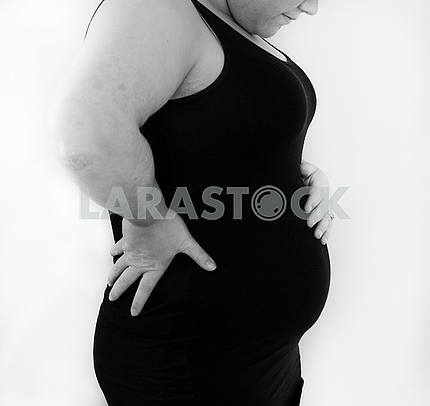 Image Description: A heavily pregnant woman cradles her unborn child.